Will L.A. bag ban finally spur Sacramento to action? 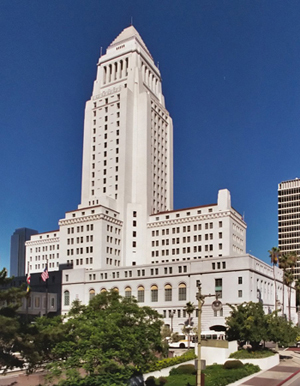 The Los Angeles City Council’s energy and environment committee today approved an action asking for a Chief Administrative Officer-Chief Legislative Analyst report on a single-use bag ban within 30 days. 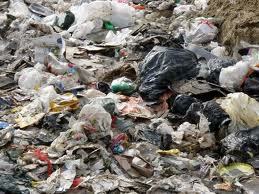 Also, the Bureau of Sanitation must implement a public outreach program over the next 60 days. Immediately after the committee meeting, the city council met to celebrate outgoing president Eric Garcetti’s long-term leadership. After Jimmy Kimmel’s monologue and the rest of the festivities, the council heard the bag-ban item. Councilmember Paul Koretz amended councilmember Jan Perry’s E+E committee motion by including a March 31 deadline for final ordinance approval. In addition, public outreach and environmental review will all occur in parallel and will start immediately. Nearly all of the present councilmembers strongly expressed their support for a plastic bag ban as soon as possible. Once again, the environmental community, neighborhood councils, the California Grocers Assn. and the L.A. Chamber of Commerce came out to support. The council action today sends a loud message to Sacramento to move forward with a statewide ban. A continued patchwork quilt of various bag bans doesn’t make sense for the economy or for the environment. With the city of L.A. and its 4 million residents moving forward without plastic bags, the future of California could be truly plastic-bag free within the next year or two.